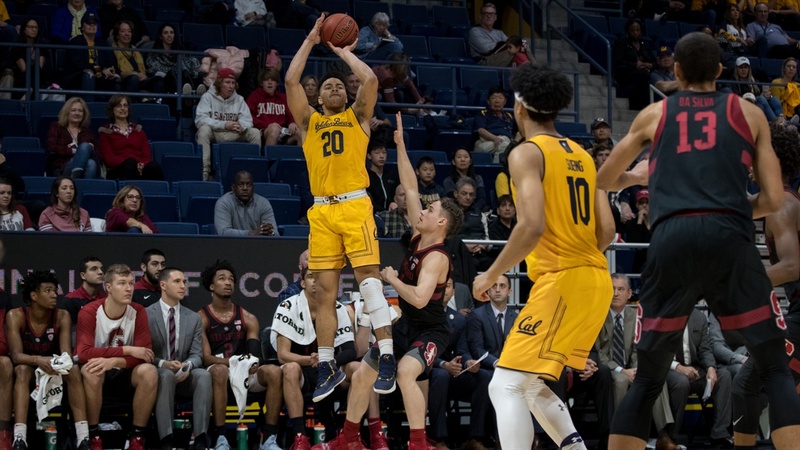 This is a forgettable year for Cal basketball, but one of the few things worth remembering will be freshman Matt Bradley (20, above) and his three-point shooting. Going into Saturday afternoon’s game at Oregon State, the Bears (5-17, 0-10 Pac-12) have lost 11 games in a row. But none of the problems can be blamed on Bradley’s long-distance accuracy. He is hitting 49,3 per cent (34-for-69) from beyond the arc. Not only is that the best percentage on the team, it is the best in the conference.